Thank-you for your interest in meditation and mindfulness. By taking our “Stress Fitness Quiz,” You are one step closer to peace of mind, well-being, and reaching your goals. YOUR HEALTH AND YOUR HAPPINESS? 1. How many Physical Symptoms of Stress am I experiencing? 2. How many Emotional Symptoms of Stress am I experiencing? 3. How many Behavioral Symptoms of Stress am I experiencing? The value in Meditation is the discipline of calming your busy mind and opening your consciousness in a heart-centered way for mindful awareness that enables you to understand everything in your life more clearly, who you are and who you can become. You will experience a peaceful spirit, inspiration, appreciation, self-care support. 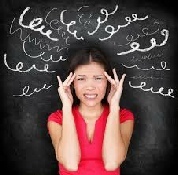 The value in NLP Hypnosis is focusing your mind on stress relief and the internal state of mental/physical relaxation. You will develop the discipline of letting-go, which creates mental clarity, emotional detachment, and physical well-being, and self-renewal for greater energy, peak performance, and goal achievement . The value in Mentor-Coaching is designing a self-management wellness program that fits your needs. You will learn optimal coping skills for balance, communication, and the ability to live fully without struggle, which creates better relationships, and greater moments of success, joy, and a harmonious lifestyle. 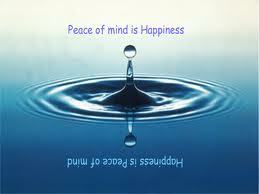 GIVE YOUR MIND SPA… RELIEF AND FIND THE PEACE AND HAPPINESS YOU SEEK! 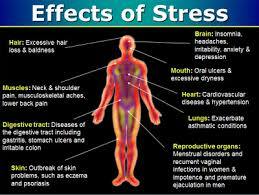 My Stress Fitness Solutions Can Benefit YOU! This indicates that you currently maintain a balanced lifestyle between knowing how to manage your role as caregiver to others (friends, family, community, etc.) and taking care of your own needs. You possess good communication skills. You pace yourself while scheduling and completing tasks. However, there are times when you need to lower the level of stress in your life. Consider modifying your lifestyle pattens to optimize your coping skills. Reset your priorities. Change your decision-making by looking at the bigger picture so you don’t get bogged down by details. You need to adjust your lifestyle slightly by taking more time for reflection, self-care, peace and inspiration. You will feel a greater sense of purpose and possibility. 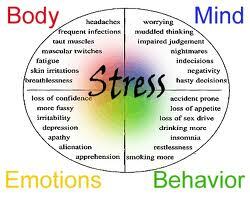 This indicates that you are very stressed and you need to lower your stress level. Your immune system is weakening. You need to identify your most critical stressors that are negatively affecting your health, focus, and energy. Take action by developing stronger relationship boundaries both at home and at work. Practice improving your communication skills by expressing what you need without guilt, anger, or regret. Pay attention to how you mange your time and handle tasks. Mostly you need to detach from the past, and take more time for yourself by doing the kind of activities that bring you pleasure, and promote self-renewal and satisfaction. Mind/body relaxation techniques are important for improved health and performance. You are overwhelmed and over-stressed. Your health and happiness are at risk. You need to recognize and change your pattern of coping through new stress management techniques and strategies. Change your inner dialog of negative self-talk, and how you communicate with others. You need to strengthen your relationship boundaries. You are completely out-of-sync with yourself, your environment, and your choices. You are stuck in a rut. You need a compete stress makeover if you are to accomplish any degree of rewarding success in life. Focus on your core values and create a lifestyle that supports your goals and dreams for happiness. Believe in yourself again rather than the opinions of others, and you will find yourself enjoying your life. How Do You Manage Life Stress? NOW YOU CAN… GO FROM STRESS -TO- SERENITY -TO - SUCCESS! Awareness... in taking the right action can make an important difference in the quality of your health, happiness, and successful lifestyle for self-satisfaction and well-being. Your goals, dreams and sense of self are often left behind in the rush of day-to-day life. Reconnect with your authentic self.